Is this the formation of a Z-PPM? Differences and divisions between siblings President Abdullah Yameen Abdul Qayyoom and PPM's President and former President Maumoon Abdul Qayyoom is not a new story. The tale of warring siblings had taken on a new twist had spilled over to the public arena, when the former President went on public record, stating that there were several issues within the Party and announcing a reform agenda to the Party. He had been a vocal opponent of the bills championed by the Government. 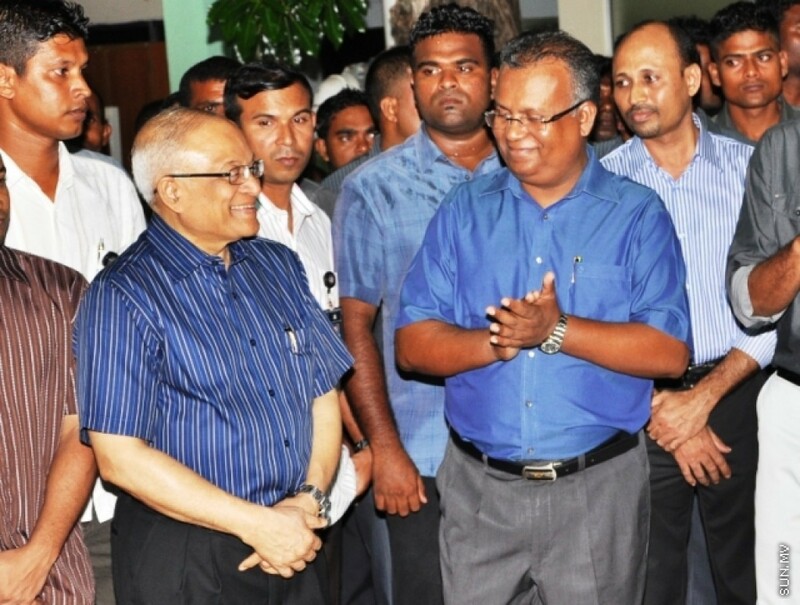 Maumoon had taken over the executive powers of the Party. The divisions within the Party had reached unprecedented levels. PPM was formed from the ashes of DRP, which had succumbed to similar infighting. The infighting was then between Maumoon and DRP leader Thasmeen Ali, who had both attempted to take control of the Party in a hotly contested race. Having failed to secure the Party from within, Maumoon formed a faction, split the Party into two and formed the formidable PPM we see today. 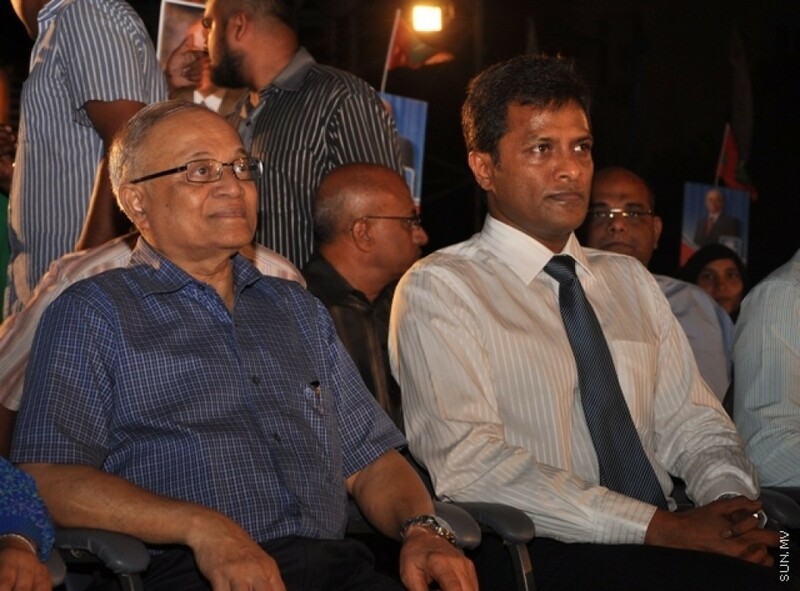 Then the faction was known as Z-DRP or "Zaeem faction". The recently resigned Home Minister Umar Naseer served as the face of the faction. The formation of PPM was spearheaded by Umar, guided by Maumoon. This question is now raised by many Party members as the current situation within PPM now mirrors that of the split of DRP. Even though Maumoon had been silent on the matter, the conflict had split outwards over the issue of awarding the Party ticket to President Yameen. The biggest questions are whether a Z-PPM will be formed and why is Maumoon allowing such a conflict to rip the Party at the seams? From what we can see, we can surmise that Maumoon had different plans for the next Presidential elections. Some critics say that Maumoon intends to bring out son Faris Maumoon as a contender and Umar Naseer as his running mate and vice versa. Based on recent developments, including Umar announcing that he will run for Presidency, this is a likely scenario. In his first public appearance after resigning as Home Minister, Umar attended the ihya forum organized by Maumoon Foundation. He sat next to Faris Maumoon. Following his resignation, Umar earned high praise from Maumoon, with Maumoon tweeting that Umar was "a man of honor and integrity". Umar had also tweeted his support for Maumoon's stand. After Maumoon publicly announced his stance on the Tourism Act amendment, which allows the lease of islands without bidding, Faris had backed his father's stance and voted against the three line whip issued by PPM on the vote. The drama was far from over. Maumoon publicly commended the dismissed coordinator Nadhira after she tweeted against the amendment. He is clearly trying to demonstrate something to the public. "I don't know whether Maumoon wants to bring out Faris or he had shared that information with anyone. 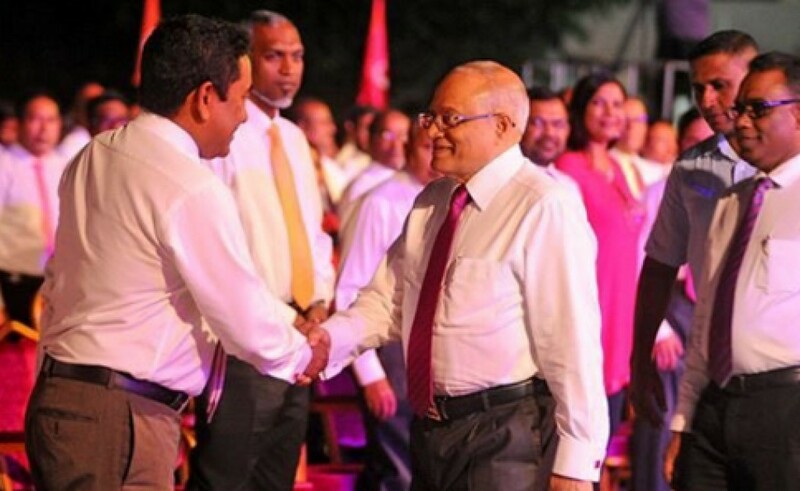 I do believe that Maumoon is making a power play, a show of strength as he is displeased. I don't believe that we can say he has a personal political agenda. What had happened following Faris's vote is probably stemming from this," a PPM MP said. Whatever the intentions, Maumoon's actions had launched a split in the Party. The casualties of this war have begun to pile up. The question is what will happen to PPM in the end? Based on PPM internal politics, President Yameen wields significant influence in Party branches. All but three Council members had agreed on granting the Party ticket to President Yameen without any contest. The Parliamentary Group has fully backed President Yameen. When Maumoon called on PPM members not to vote for the amendment on the Tourism Act, they challenged Maumoon stating that they "will vote for the bill without hesitation". So it is apparent that Maumoon wields little to no power within the upper echelons of the Party. "President Yameen has full control of the Party. Following the vote, Maumoon panicked took over the powers because he had that fear of losing control over the Party, to hold that control. But if he carries out on this path, then conflicts within the Party will grow stronger. I will state this clearly, President Yameen will not remain silent. So the conflict will escalate," a senior PPM official said. The official said that resolving this conflict between Yameen and Maumoon is vital to addressing the current issue. If a resolution fails to materialize, the official said it was likely that PPM would fall prey to the same status as that of DRP today. But based on what we can see now, Maumoon will have to rise up in defense of his son. This is probably one of the reasons why Maumoon was quick to assume all Party powers, to prevent a review of Faris from the ethics committee. If that's the case, then Maumoon is hardly likely to play a slow game. In this scenario, Yameen will not yield as well. So at this moment, the situation looks precarious. Is this the formation of a Z-PPM?